Officer, by Stefan Zaharia (Romania) gets the BBB Best Film Award 2018 at the 9th BBB Short Film Festival with title Societies on Sharing S.o.S. The Festival took place in the city of Novi Sad at the Museum of Contemporary Art from the 8th to the 11th of November bringing a programme of more than 50 films from the Balkans and beyond shedding light on the idea of “sharing”. The Award ceremony took place on Sunday the 11th at 21.00 with the presence of Paul Anri representative of the European Delegation to Serbia. The BBB Jury consisted of Rohan Berry Crickmar (Great Britain) Ingo Starz (Germany) Dejan Dabic (Serbia) while the Prizes were supported by the European Delegation to Serbia and the Statues a 3D printing production of Solid 3D printing in Athens. 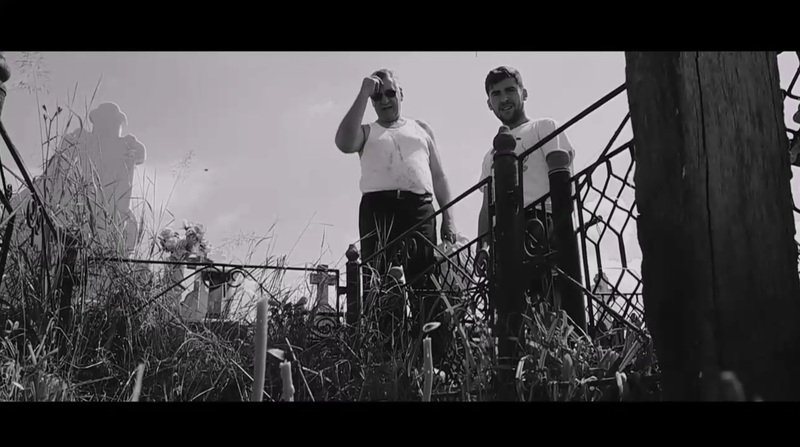 According to our Jury’s statement, “Officer” is a great satire with elements of comedy of character in post communism Romania that touches the festival’s thematic in a subtle way. 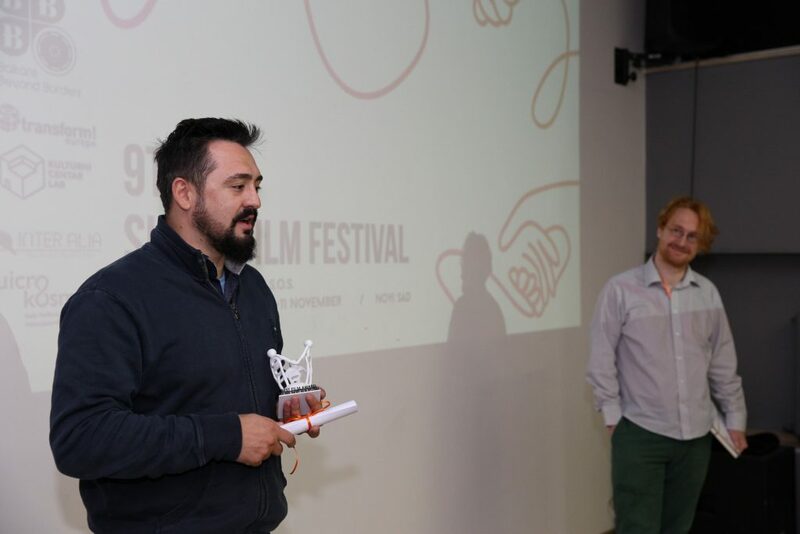 Stafan Zaharia who attended the Festival said at receiving the award, “it was an incredible experience, something unexpected for me to get this prize in an international festival. To be able to win at such a good festival is very important for me and this award is boost of energy and finance that I needed to make my second film”. BBB Best Film Award gets 700€ from the European Delegation to Serbia. The 9th BBB Festival decided to take its awards one step further in order to fulfill its mission to promote young filmmakers who submitted their debut film. Therefore, it added the First Entry Award 2018 which was given to the director Stijn Bouma (Netherlands) for his film “Lejla“. According to our Jury, he brings an outsiders’ eye to the Balkans doing a remarkable job of navigating the everyday banal realities of life in Bosnia’s capital city. The film is able to communicate a very strong sense of place that makes this a particularly effective character study. BBB First Entry winner gets 300€ from the European Delegation to Serbia. For one more time, BBB gave voice to the audience to vote for their Best film. The BBB Audience Award 2018 went to the film “The Backpack” by Michalis Mathioudakis (Greece). His film touched the audience with its sense of humor which puts a comment on a societal issue of sharing. BBB Audience Award winner gets 100€ from the European Delegation to Serbia. Taking into consideration the good quality of this year’s films, each Jury member gave a “Special Mention” to three films: “Domestic Fly”, fiction, by Áron Horváth (Slovenia) – an exquisite film which fulfills all the criteria of the jury, including the “innovative idea or technique”, OFF-HISTORY, documentary – experimental, by Selini Halvadaki, (Greek) – a brilliant archive film for a building, a ghost story and a mesmerizing essay on architecture, both cinematic and structural and When the Dragon Came, documentary, by Stefan Pavlovic (Dutch) – a documentary with a great aesthetic and poetic view which goes deep in family and societal issues in Romania. 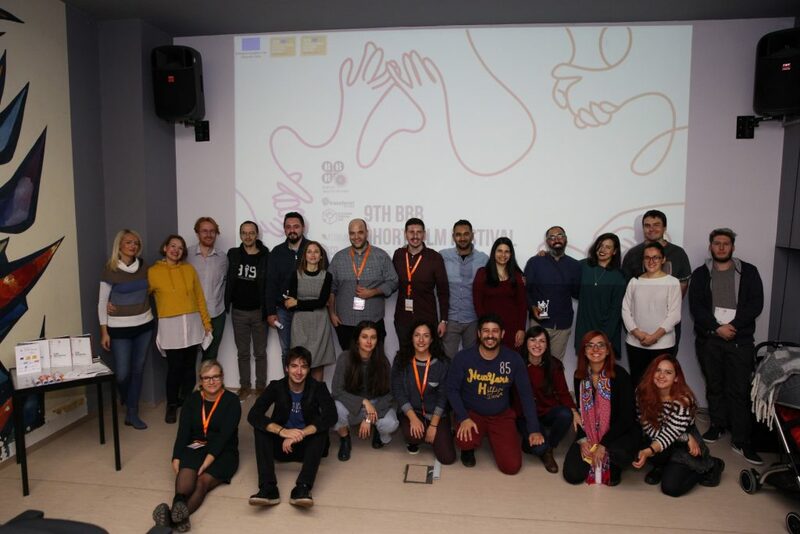 Balkans Beyond Borders enhanced the idea of networking bringing together participating filmmakers in Novi Sad giving a stage for future collaborations. Local community as well as international audience, and young people as well as older people warmly welcomed BBB Festival showing great interest upon new generation Balkan cinema. In addition, the questions of the audience at the Q&A sessions brought up discussions and exchange of ideas allowing BBB to meet its mission for intercultural dialogue. As one festival attendee said, the screening session of Memories & Emotions made me question everything I thought I knew about human relationships. The new destination for the 10th edition in 2019 is Athens and the thematic will be announced soon. Stay tuned at www.balkansbeyondborders.eu.